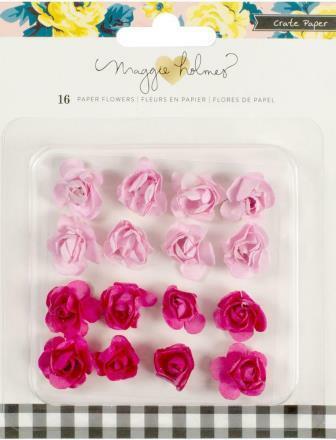 Crate Paper-Maggie Holmes Bloom Tiny Paper Flowers: Light And Dark Pink. Update your projects with these paper flowers! These colorful pieces offer dimension and style. This 5-1/2x4-1/4x1/2 inch package contains sixteen paper flowers in two colors (eight of each of colors). Do not mouth or chew.